SERVICE portion is attached to paperwork, signaling service completion! Packaged 20 pads of 50 - 1,000 per bundle. Order 1 = 1,000 tags. 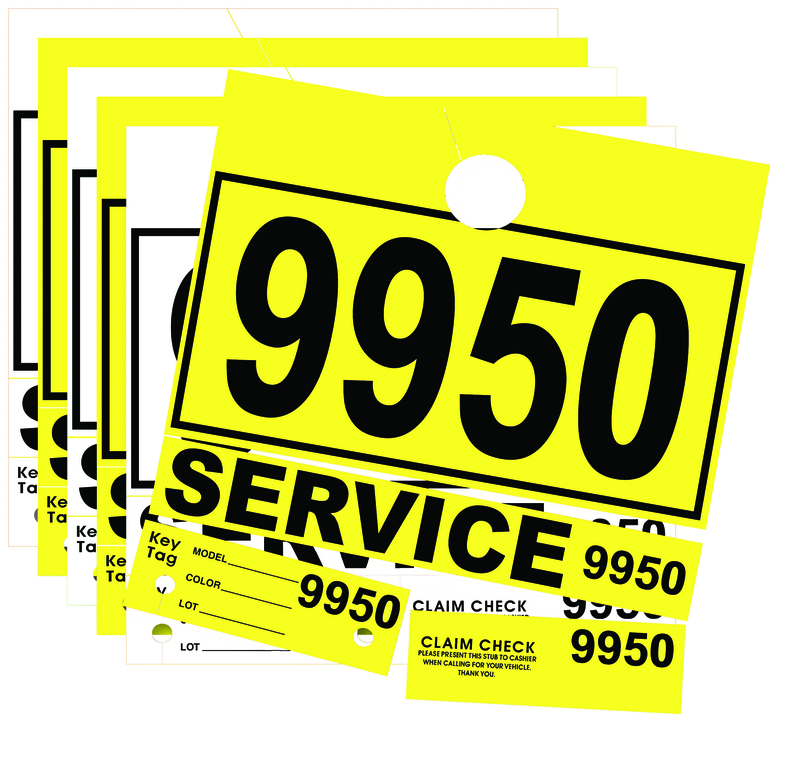 For numbers 3000-9999 please contact your Dealer Services Specialist at 800-780-2402.